Dr. Vellian Crowler – is the head professor of Duel Academy. Initially scheming and underhanded in attempting to expel duelists like protagonist Jaden, Crowler grows throughout the series to appreciate all his students and in turn be respected for his noble actions. 35-year old Vellian Crowler is a professor of the Obelisk Blue dormitory at Duel Academy. His main goal in the first year is to force low-performing students out of the school. After Jaden defeats him in a duel, he tries as hard as he can to get Jaden kicked out of the Duel Academy, but fails miserably. Notable schemes include making Chazz duel Jaden with “unbeatable combos,” and placing a fake love letter in Syrus’s locker (which he mistook for Jaden’s) to catch him peeping in the girl’s bathing facility. 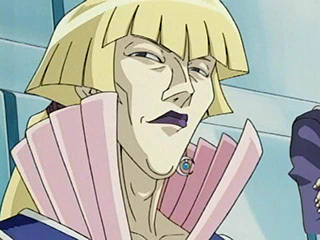 During the second year, while Chancellor Sheppard is away, Crowler takes over his position at Duel Academy alongside Vice-Chancellor Bonaparte. For much of the season, the two devise schemes to market Duel Academy, but often argue over what methods should be employed to do so. Bonaparte resorts commonly to attacks, physical or otherwise, on Slifer Red, which he sees as a stain on the school’s image, prompting Crowler to step in and defend the dorm on multiple occasions. In the Japanese version, Napoleon addresses Cronos as “temporary principal” to insult his feigning position. After Sheppard returns to his duties, Dr. Vellian Crowler and Bonaparte, thinking themselves to be fired on account of one of the Chancellor’s angry outbursts over their bickering, attempt to find new jobs with Industrial Illusions. Pegasus agrees to open discussions on the matter, provided they can defeat him in a triangle duel. Although they lose to Pegasus, Sheppard states that it was all a big misunderstanding, and that they were never fired in the first place. During the third year, Crowler becomes another zombified victim in the different dimension along with Axel’s entire “Blue Berets” group that he had used to combat the Duel Ghouls. However, he does not Duel when Jaden and his friends return to the different dimension to find Jesse. 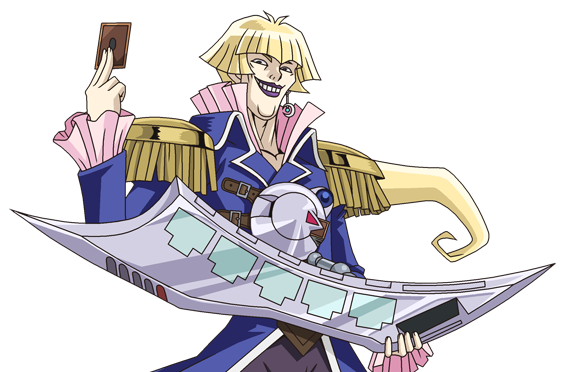 Because he did not duel and was not sent to the alternate dimension, Crowler was present in Jaden’s duel against Yubel, who was possesing Jesse, along with Syrus Truesdale and Ojama Yellow(character). By the third year instead of thinking of Jaden as a loser, Crowler thinks (in the Japanese version) that Jaden will save them. Crowler ascends to the position of vice-principal of Duel Academy in the fourth season after Bonaparte quits. As Jaden’s graduation nears, Dr. Crowler reverts to the cruel and bitter personality he had in the first year, making his students do math problems and even having them spend entire classes doing pushups. When he wouldn’t show up to his lessons, the students chased him around to school to know why he acted so odd. He revealed to them that he didn’t want any of them to leave, and thus wanted them to not take enough classes to graduate. Jaden duels him, and Crowler fights back brilliantly (even pushing Jaden into a corner multiple times) but is defeated by Jaden in the same manner he did during the entrance exams (causing Crowler to remark that using Flame Wingman in conjunction with Skyscraper is the only strategy Jaden knows). This act restores Crowler to his usual self, leading him to make Jaden make up for all the classes he had missed recently. It is assumed that Crowler, along with everyone else, was pulled into the world of Darkness during the Trueman siege and brought back when Jaden defeated Nightshroud. He was last seen trying to make a speech to the third-years, but broke down and cried violently before being carried out by the other staff members. In the Japanese version of the anime, it is revealed that Crowler has 26 years left on his mortgage. Dr. Vellian Crowler plays an Ancient Gear Deck, composed largely, as namesake implies, of Ancient Gear cards. The majority of his monsters have the ability to prevent an opponent from activating Spell and Trap Cards until the end of the Damage Step. He also relies quite heavily on the “Ancient Gear Golem”, his favorite monster, and tries to summon it to the field as quickly as possible. During his second Duel with Jaden, he revealed his strongest monster which he usually doesn’t play, the “Ultimate Ancient Gear Golem”. After acquiring Crowler’s Deck Recipe in Yu-Gi-Oh! GX Tag Force, the player is given “Ancient Gear Castle”.